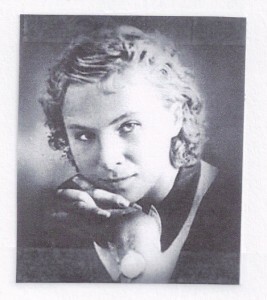 Lidiya Vladimirovna Litvyak was born August 18, 1921 in Moscow. She secretly learned to fly at age 14 in her local air club. 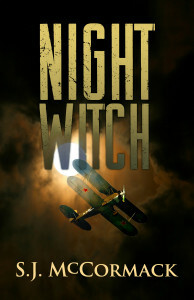 When war broke out in 1941 she offered her flying skills, but was turned down many times. Then she heard about Marina Raskova’s call for female pilots. Needless to say this “natural” (as many labeled her) was given the job. The tiny, gray-eyed blond with the heart of a lioness began flying in defense of Mother Russia in 1942. She was tough, yet delicate, both feminine and ferocious. One day during training in November of 1941 she was standing in formation with the rest of her regiment. Commander Raskova noticed something different about Lily and asked her to step forward. She was sporting a white fur collar on her newly issued winter uniform. Snickers and giggles rippled through the women around her. “Litvyak, what do you have on your shoulders?” asked Raskova. “A goatskin collar,” Litvyak replied. “Why, doesn’t it suit me?” The goatskin looked suspiciously like the stuff used to line [their] new winter boots. More about Lily next time. *Pennington, Reina, Wings, Women, & War: Soviet Airwomen in World War II Combat. Lawrence, KS: Univ. Press of Kansas, 2001. pg 46.